Supporting and promoting the food and drink industry whilst championing #FoodTourism to visitors from the UK and abroad. We facilitate beneficial connections and create opportunities for our members. A Taste of Anglia also provides grant supported (subject to approval) business development assistance, to individual food and drink producers. Tel: 07936 286988 or ​Email Robert@atasteofanglia.com ​to discuss how we can help your business grow. ​ For 2019 entry is free. 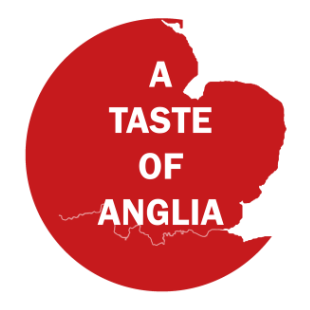 ​We have options available for sponsors and exhibitors for the A Taste of Anglia Producer Villages at the Spring and Summer 2019 Essex Festivals of Food & Drink. ​Click on the images above for more information. ​Up-grade to an advert / link on our welcome page. Box River Studios are multimedia visual content makers with a passion for food and drink at the very heart of their business. ​Click on these images for more information on how they can help your business grow. Promote your products to thousands of independent delis and farm shop owners across the country with a feature in Delicatessen Magazine. Special deals available to ToA members. Have you ever wanted to keep your own honey bees but just don’t have the space or time?​ Click here for personal and corporate sponsorship deals. Packaging Design, Identity, Brand Creation, Strategy, POS, Print Advertising. Independent Retailers: Fine Food Angel makes artisan food & drink products from across the country available for you to sell. Click here for more information. Receiving thousands of page views per month, the ToA website is the place for the food producers, retailers and hospitality businesses of the East of England to be seen. GDPR: The only detail held by A Taste of Anglia is the the contact information supplied by members on their application forms. We also hold names, addresses and contact details of businesses we work with. This information is in the public domain, available on their websites, or provided on their business cards. Our database is held on a backed up password protected computer. We no longer send out newsletters via Mailchimp. If any company asks to be removed from our database, all information on that company is deleted.